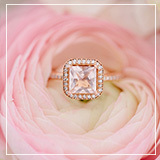 The moment that long-awaited ring is on your finger, the wedding planning starts to take over. 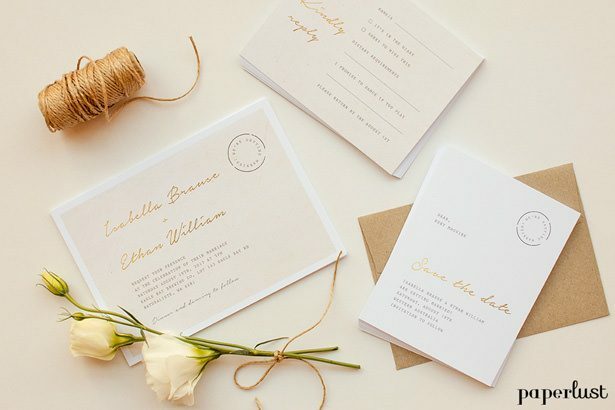 The venue, the photographer, the dress… and in the midst of it all, sometimes one of the biggest pieces of your day is left behind: your wedding stationery! 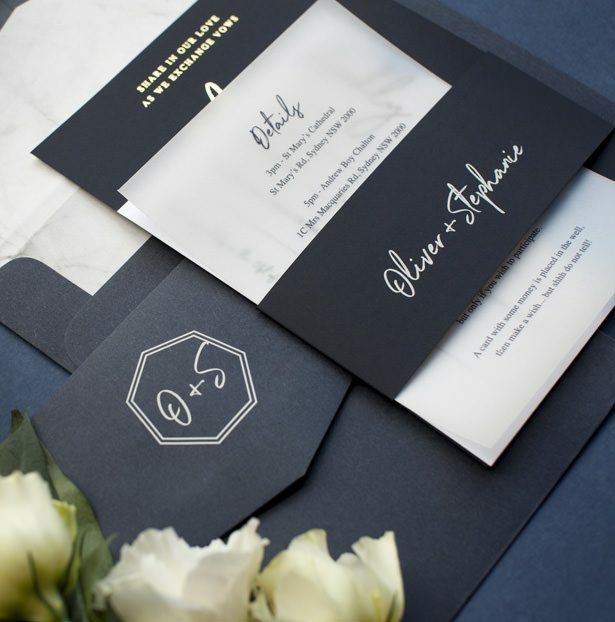 Your wedding stationery is one of the most important parts of your wedding: it sets the tone for your day, allows you to establish a wedding brand, and of course, becomes a tangible heirloom for years to come. 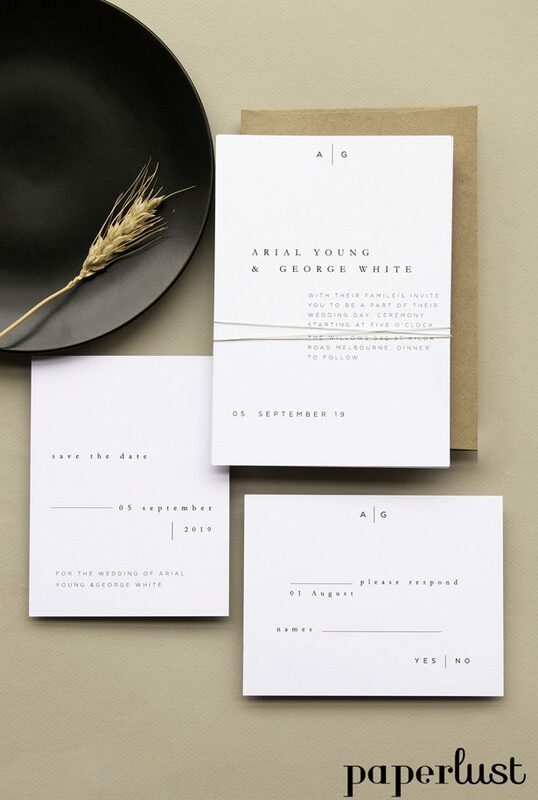 But, those beautiful, rustic wedding invitations that arrive in your mailbox don’t design themselves, and adding custom stationery to your already-too-long wedding planning list seems like a daunting task… but it doesn’t have to be! 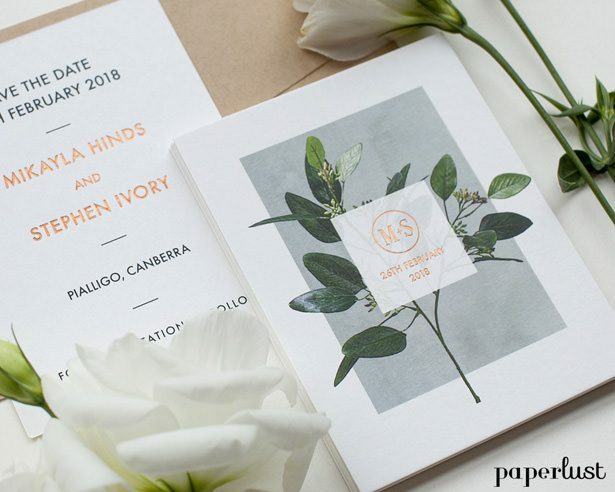 Paperlust, founded in Australia, is a one-stop-shop for an endless selection of gorgeous, impeccably-designed custom invitations for your wedding day. 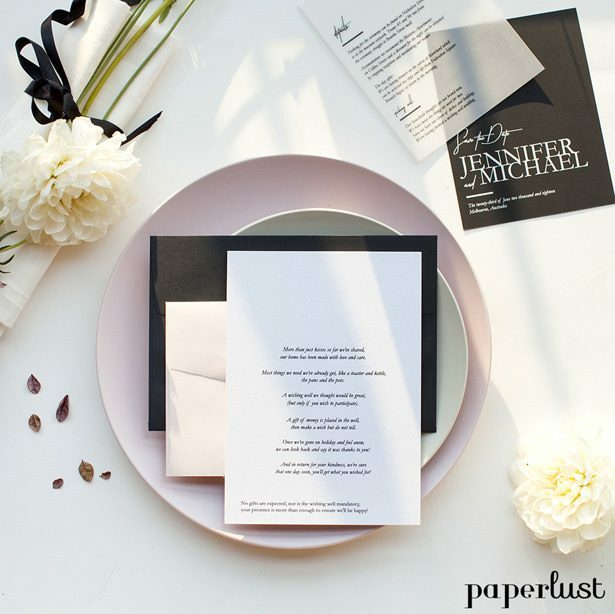 The Paperlust website is well-designed and easy to navigate, with options to search by style, color and theme, and an array of options for paper and coordinating items. 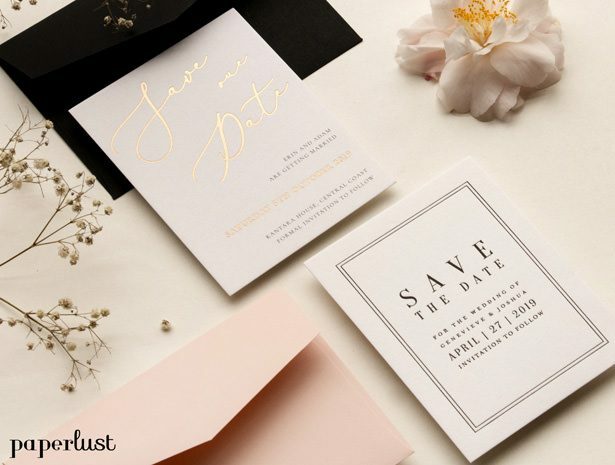 And just when you think you’ve found the suite you love, the print options and upgrades available from Paperlust are the icing on the cake, and can bring each and every design to the next level. 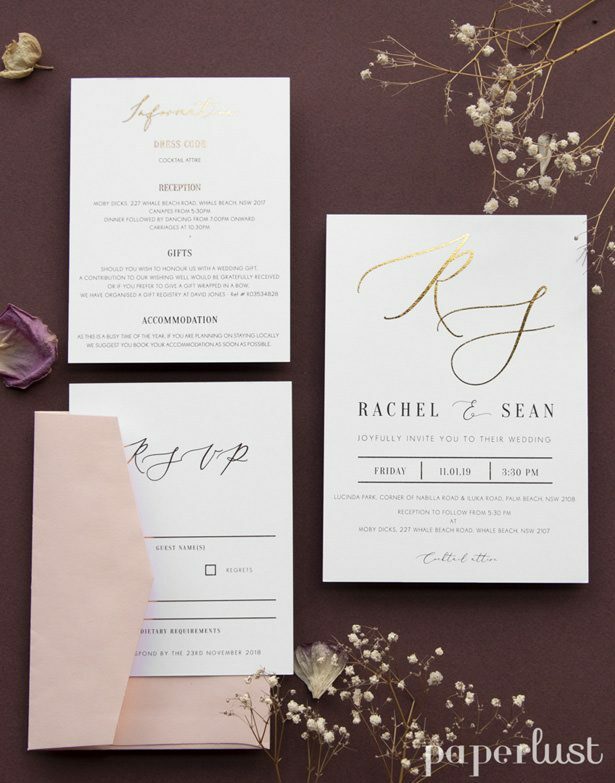 Letterpress, gold foil, vellum and white ink are just a few of the options available, and can make your wedding suite feel like a work of art. 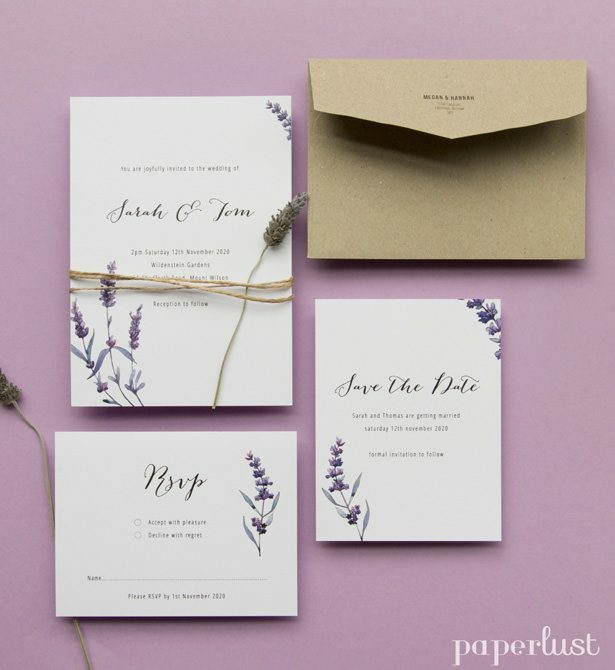 Looking for something a little more unique and unexpected? 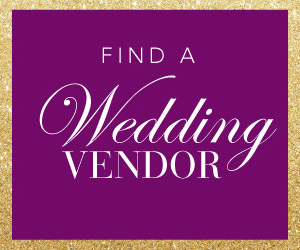 Or maybe you’re on a budget? 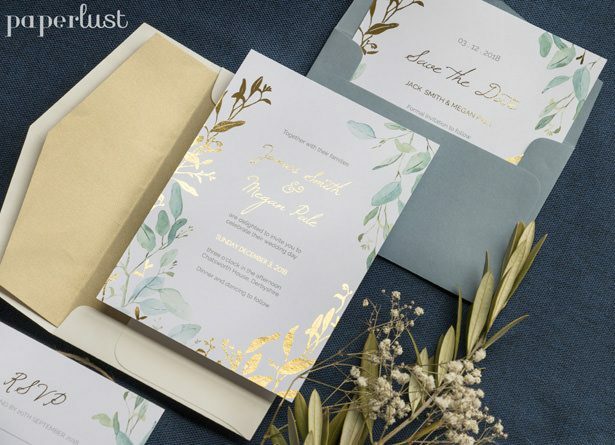 Paperlust now offers Send and Seal: all-in-one wedding invitations, which eliminate multiple inserts and keep your wedding suite streamlined and simple. 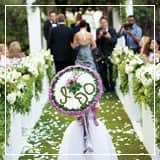 You could spend an entire day (or two!) 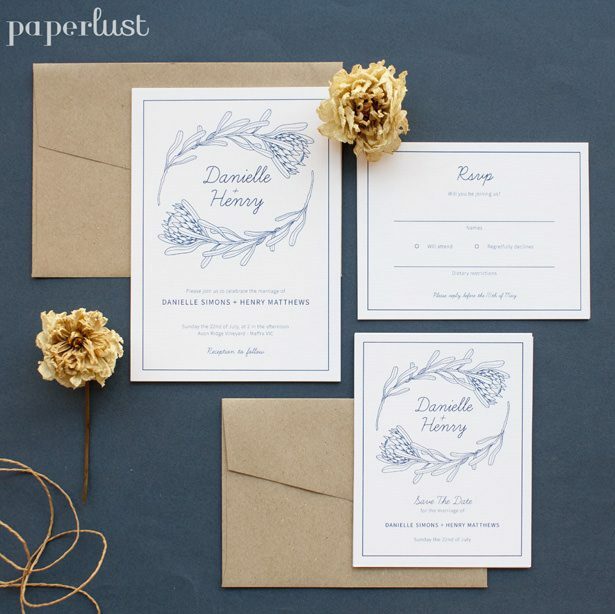 browsing the Paperlust site for “the one”. 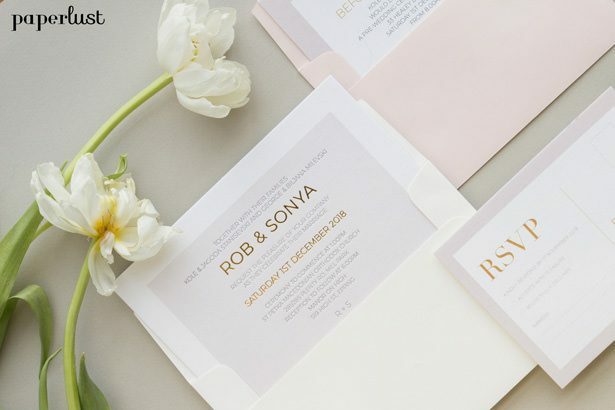 With so many gorgeous invitations, the hardest part will be choosing just one! 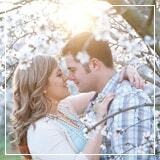 To help, we’ve picked a few of our favorites. 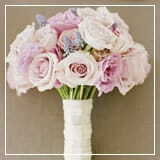 From rustic to elegant, classic to modern, each of these is sure to wow your guests and set the stage for your big day! 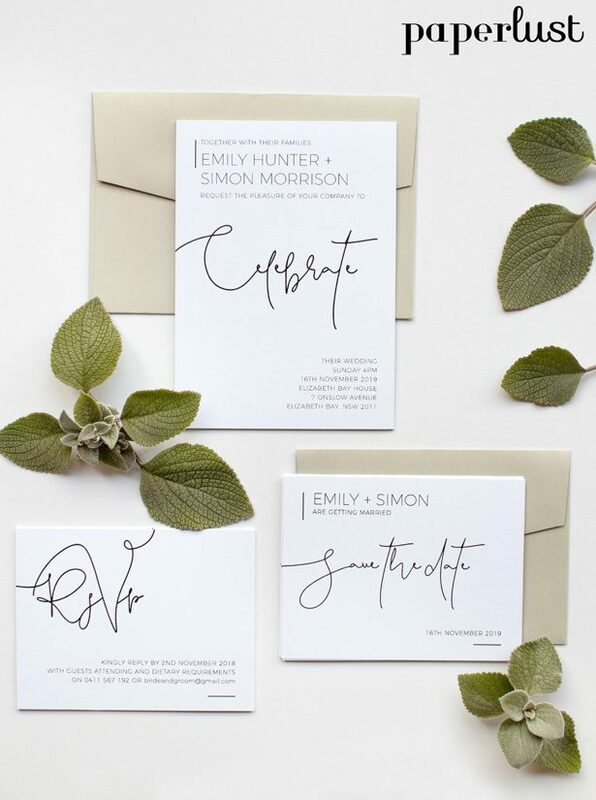 Vintage Letter: Complete with a subtle paper texture, metallic printing and a vintage-inspired-postmark, this Classic Letter Invitation suite feels romantic and timeless. 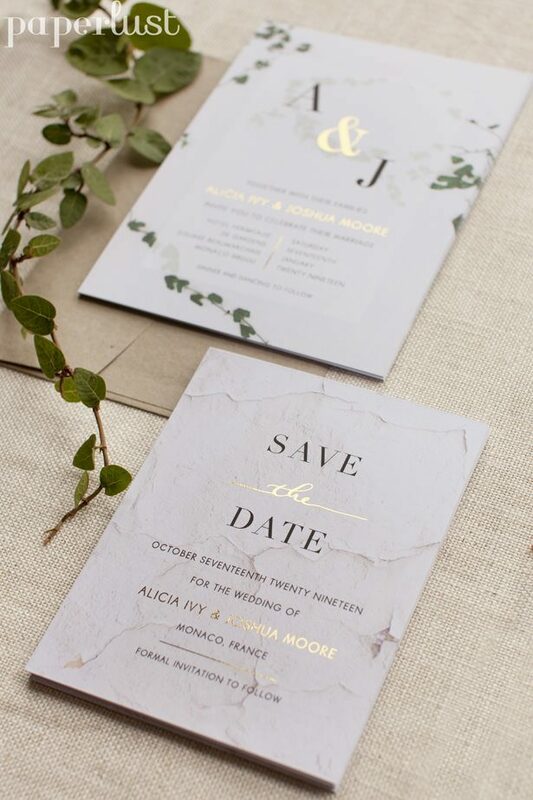 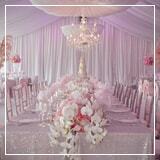 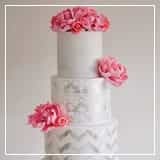 Perfect for a love-letter inspired, or destination wedding, this design is sure to set the stage for your big day! 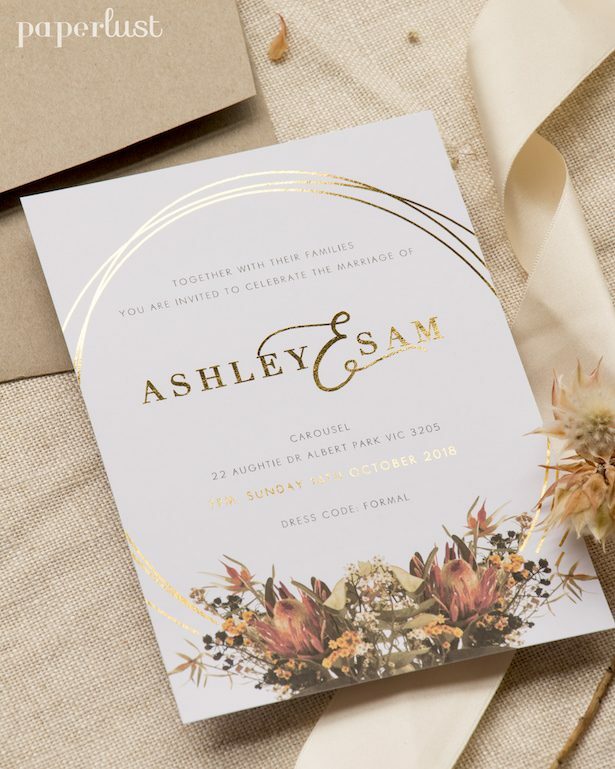 Garden Estate: With a stunning floral image and a bold, modern monogram, this Garden Estate Suite feels like a piece of fine art. 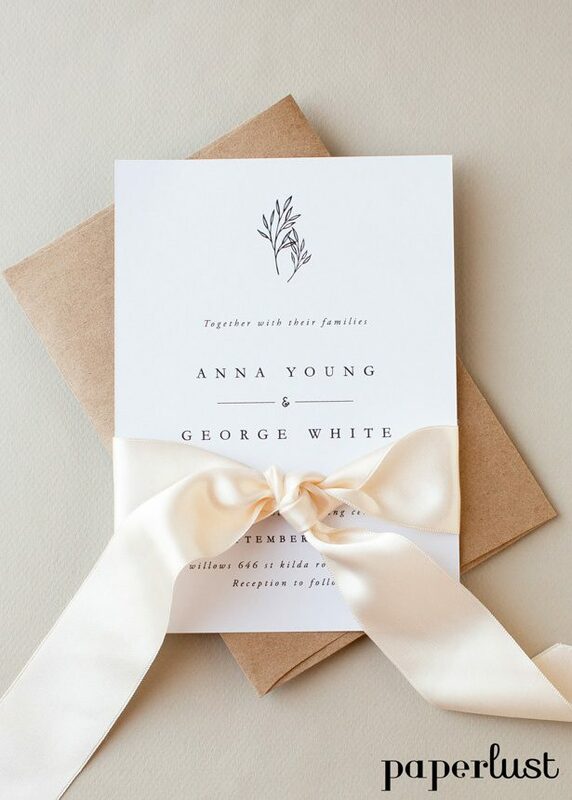 Suited for almost any type of wedding, this invitation is sure to leave a lasting impression on your wedding guests. 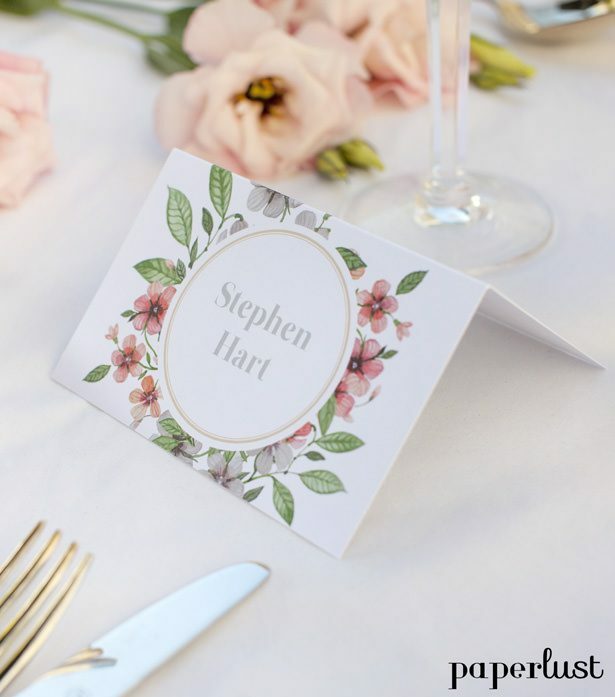 Organic Floral: The Luna Suite caught our eye the moment we saw it, both for the soft, hand-illustrated florals and the minimal typography. 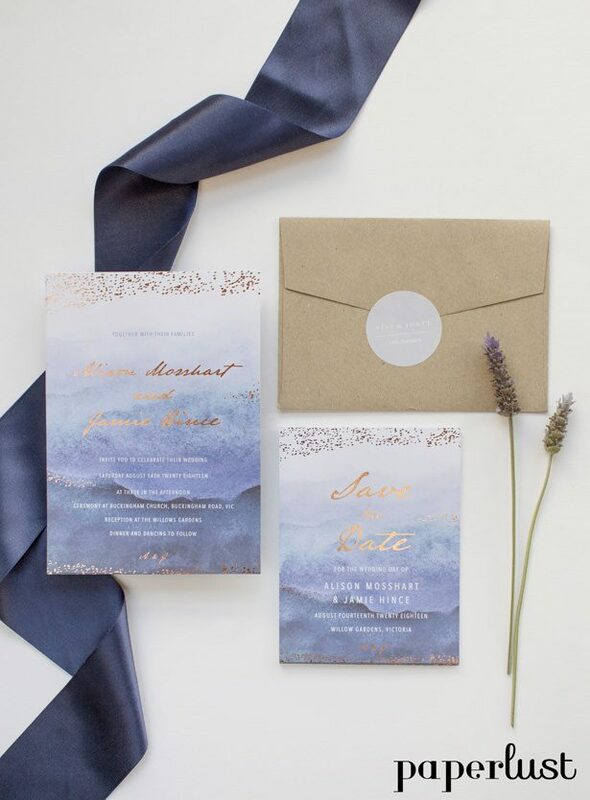 Perfect for an organic, rustic wedding or even a mountainside elopement, this suite is classic and timeless. 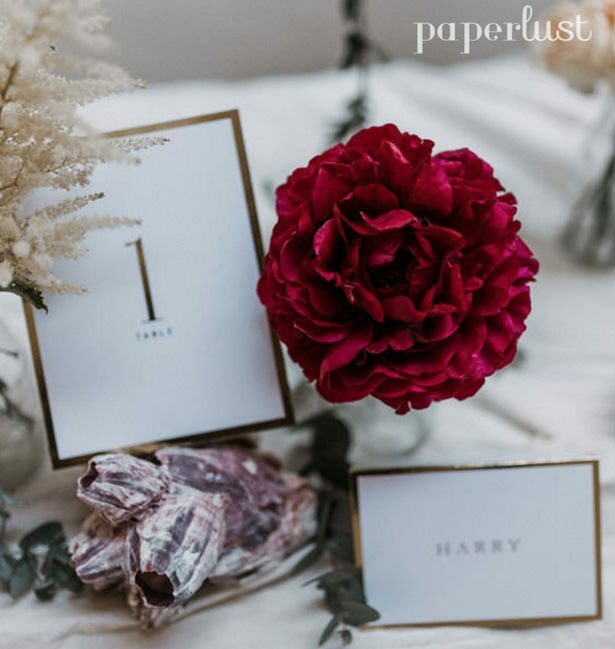 There’s something for everyone at Paperlust, and with the ever-growing to-do list for your wedding, finding something to make your life easier is absolutely priceless. 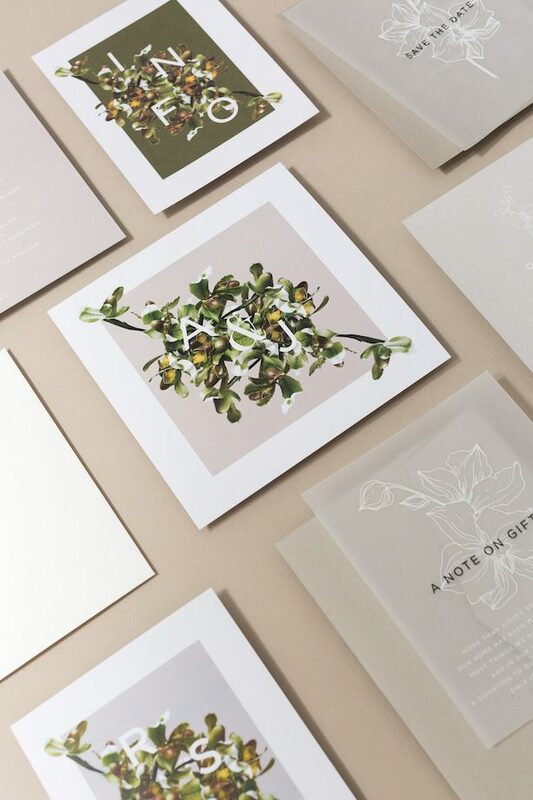 Make sure to check out all the pretty over on Paperlust’s website, and follow along on Instagram, too, for daily inspiration and lots of paper love! 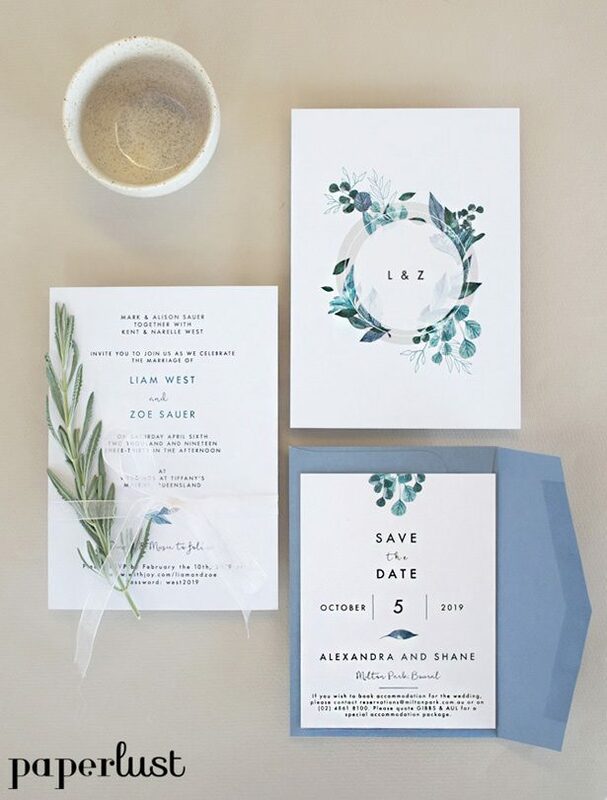 This post has been sponsored by Paperlust but concerns our own opinion. 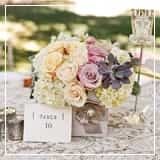 Thank you for supporting our partners.